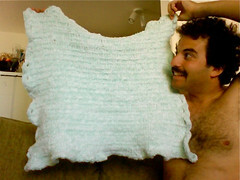 I finished this afghan I started a few days ago for the baby to be in my wife’s womb. I think it’s cute. I really, really hope it becomes our kids banky.